ODESSA, Ukraine -- A clutch of rusty old naval boats bob about mournfully in the Black Sea off the harbour of Ukraine's southern city Odessa near an ageing missile boat. Already in a sorry state after years of corruption and neglect, the force was eviscerated when Russia seized the Black Sea peninsula of Crimea in March last year. Moscow snatched the pride of the fleet which was moored in its strategic ports, and convinced thousands of sailors to jump ship. Military expert Serhiy Zhurets says that with the annexation of Crimea, Ukraine lost two-thirds of its navy. "We need a huge amount of effort and expenditure to create a new fleet from scratch," Zhurets says. "There is nothing left of it". The flagship Hetman Sahaidachniy moored now in Odessa, was only saved from the occupation by pure chance. Nearby, the missile boat Pryluky is one of the few ships that managed to return to continental Ukraine after the annexation of Crimea. But it is in such a sorry state that the crew jokes it was much cheaper for Russia just to give the boat back rather than dispose of it. Russia and Ukraine did reach an agreement for the return of other vessels too, but this was suspended after a brutal conflict between pro-Russian rebels and government forces broke out in the east of the country. Of the 8,000 sailors who served in Crimea only 2,000 chose Ukraine. Most of the others opted to join the Russian side. Bondar recalls with anger the names of the ships that he and his colleagues were forced to abandon to the Russians -- the corvette Ternopil and minesweepers Cherkasy and Chernihiv. "Everyone expected them to be returned to Odessa. But it turned out much worse than expected," he lamented. 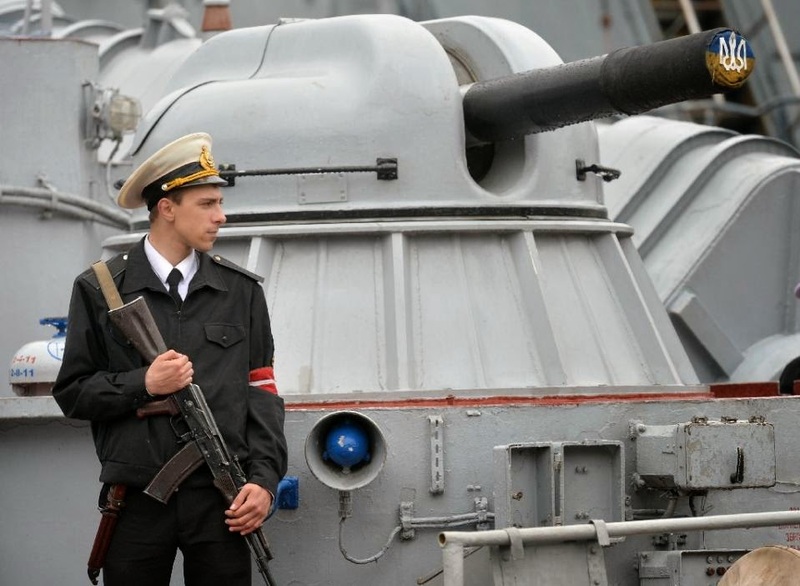 Admiral Ihor Kabanenko, Ukraine's former deputy defence minister, says that most of the warships Kiev lost were Soviet-era relics and would anyway soon have become obsolete.